For a while there, it looked like the obesity epidemic had gained escape velocity with no solution in sight. Thank goodness fast food companies got their acts together and started providing us with healthy options like wraps and salads. 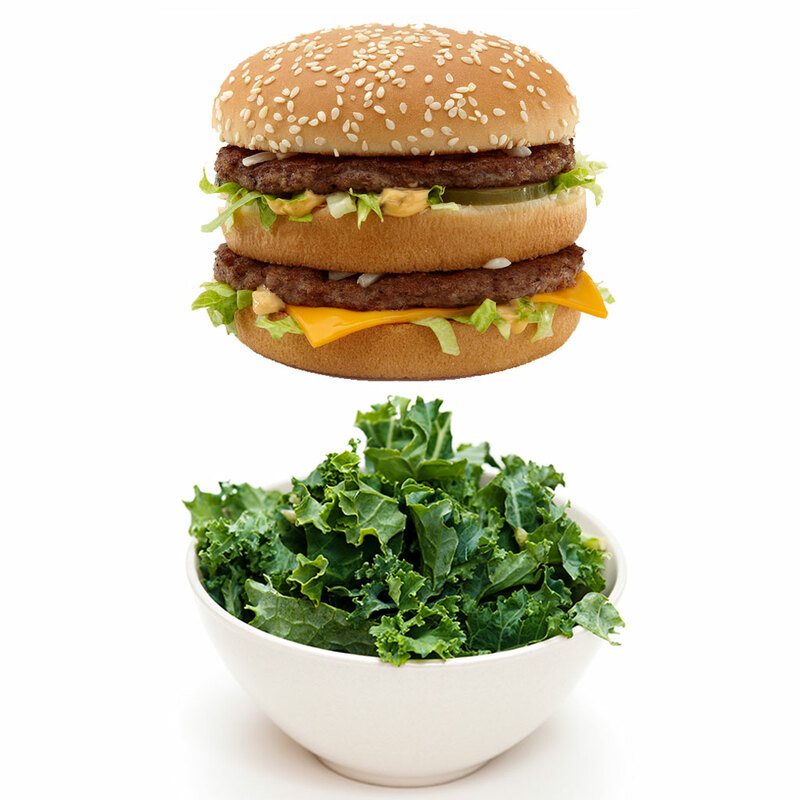 Of course, one of the healthiest foods du jour is kale, so it's no wonder McDonald's has tried to cash in on the leafy superfood's status with its own kale caesar salad that is very healthy—as long as you think a Double Big Mac is healthy. Yes, McDonald's newest salad has even more calories, fat and sodium than their signature multi-tiered burger. The lettuce and baby kale salad is currently in a testing phase in Canada and, as the CBC points out, it hardly qualifies as a healthy option. The Double Big Mac tops out at 680 calories, 38 grams of fat and 1340 mg of sodium. The salad (with the accompanying asiago dressing) boasts 730 calories, 53 grams of fat and 1400 mg of sodium. So much for a light lunch. This is yet another misdirect in fast food's attempt to trick consumers into perceived healthy eating. Even McDonald's supposedly nutritious Fruit and Maple Oatmeal, the CBC also notes, contains almost as much sugar as a can of Coke. It still looks like the healthiest fast-food option is not eating fast food at all. Related: Would You Eat Quinoa From McDonald's?